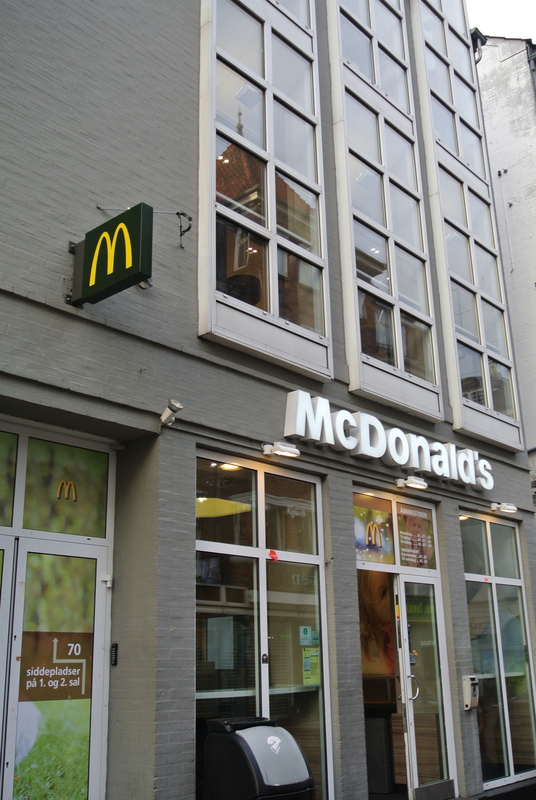 So I can’t remember why but one morning we decided to go searching for a McDonald’s and lucky for us, we found one in the main square in downtown Aarhus. 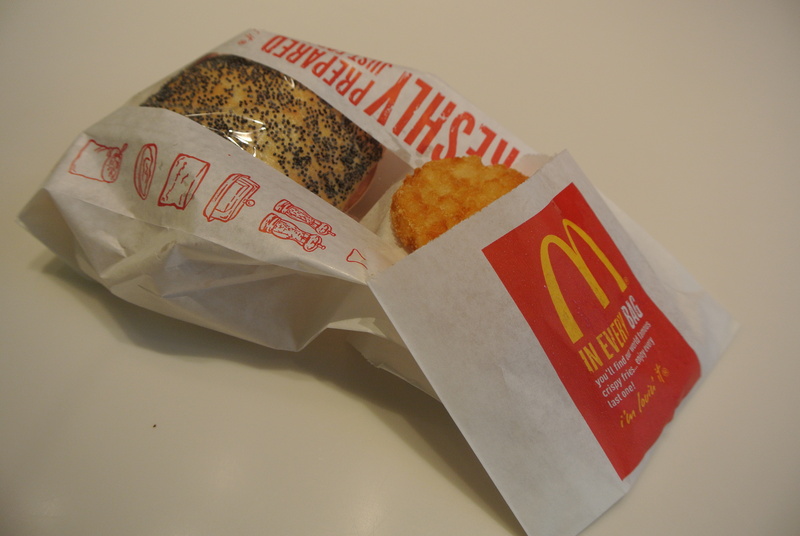 The breakfast menu wasn’t as extensive as they are in the North American McDonald’s but the staples were there. 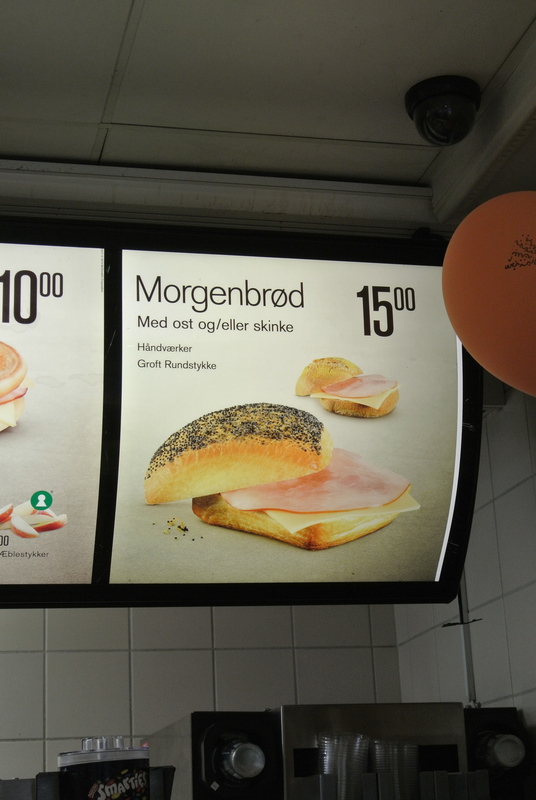 The egg, sausage and bacon mcmuffins, pancakes, coffee and hashbrowns (which taste exactly the same as those sold here) were all available but the Morgenbrod is what caught my eye. 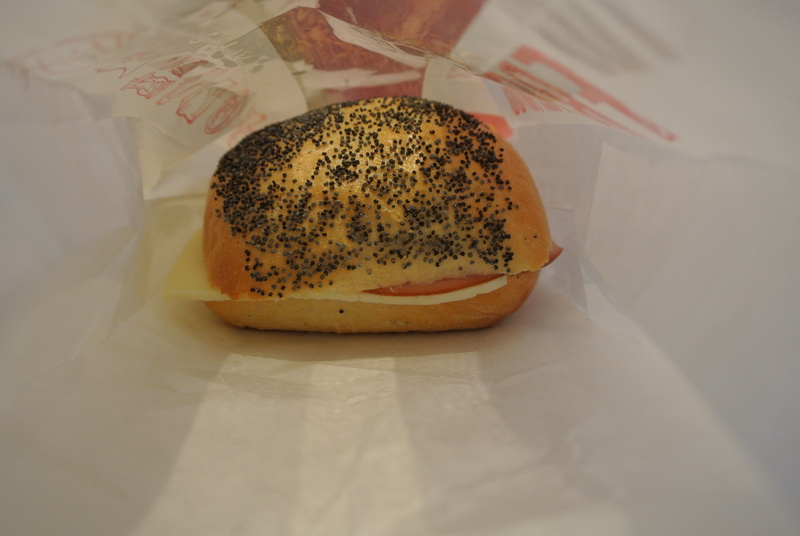 Literally translated, the “morning bread” is ham and cheese (tasted sharp like swiss cheese) on a handcrafted poppyseed roll. To be honest, there was nothing special about the ham or the cheese but the bread roll was absolutely delicious, almost artisan like with a crusty exterior and not the usual “wonder bread” texture that is typical of their sandwich buns. They need to bring this to Canada! We finally found a Mc Donald’s. 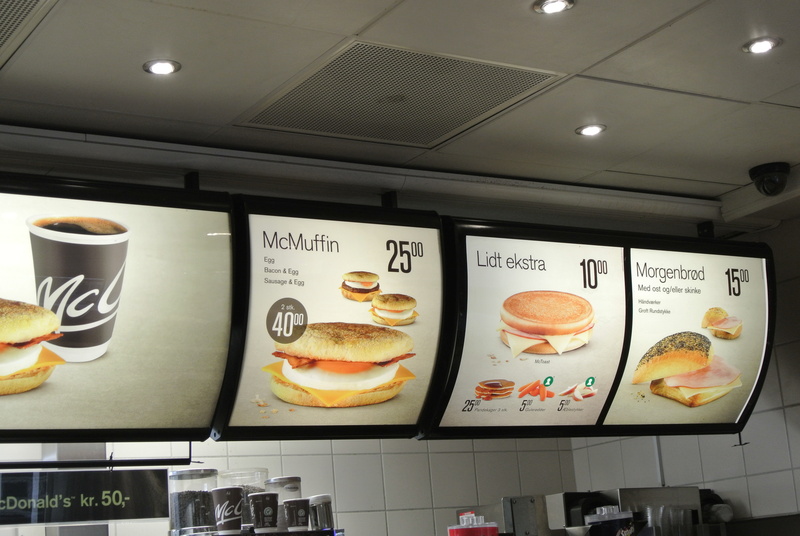 Breakfast at Mc Donald’s in Denmark. The Morgenbrod available for approximately $3. The Morgenbrod combo with a hashbrown and a coffee. A close up of my morning sandwich. How cute are these? 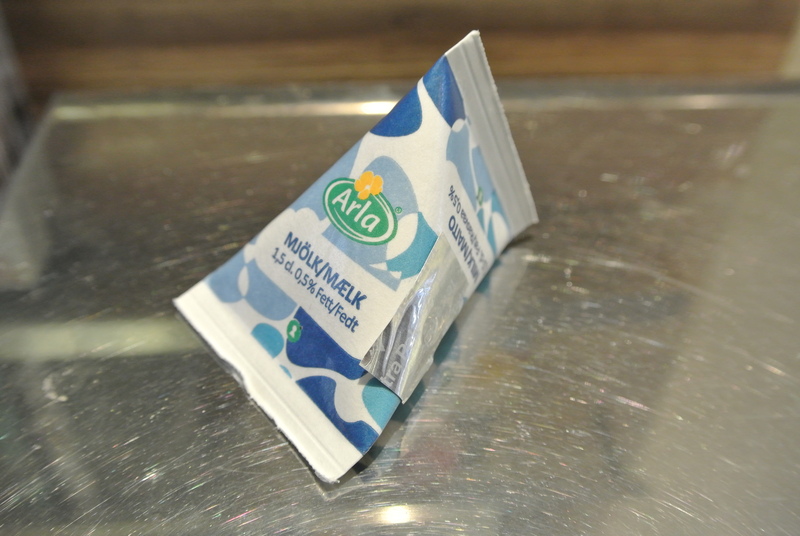 They are single packets of milk.